What makes Ruby Software stand out as a partner for your Big Data needs? Big Data projects needs a solid execution team and a sound technical strategy. These are two important factors we bring into the table with our Team based out of Kansas City USA. Raj has a distinguished 20 year career in the database software industry . 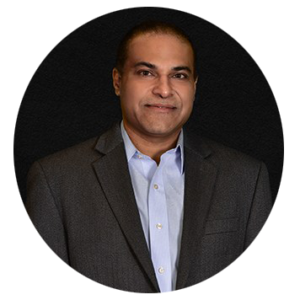 Over the years Raj has helped customers break down data silos and re-invent business value by unlocking the full potential of their data. He also believes in the power of community. He sits on the advisory board for multiple universities in the Kansas City metro to help develop Big Data engineering skills much needed in the workplace. Previously he held various leadership roles at IBM and EMC. He holds a Bachelors and Masters degree in Engineering as well as an MBA. Mani is obsessed with getting data right. 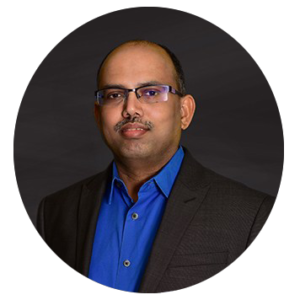 He is always looking to innovate and to help customers realize their full ROI using data.He has over 17 years of IT industry experience and has held technical leadership roles in large enterprises. 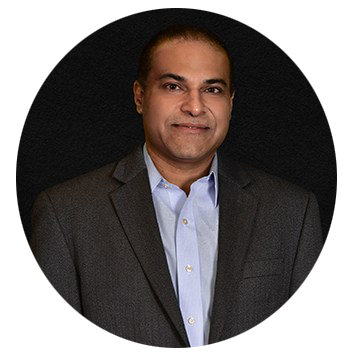 He has extensive experience building data warehouse and BI solutions. 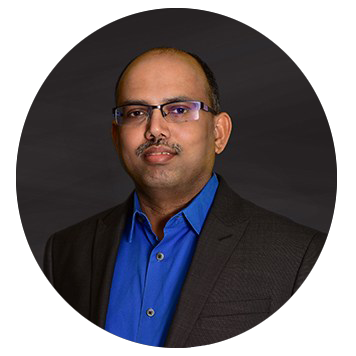 He is also certified on multiple Big Data distributions and has implemented several large scale Big Data deployments. He holds an MS in Mathematics. Our Architecture teams are repositories of technical wisdom. They are actively involved in shaping all our project engagements. The teams constantly strive to raise the efficiency bar through innovation. Delivery teams are often as good as the leadership they inherit. Our leadership team combines knowledge, experience, empathy, and self-motivation to steer the projects on course while maintaining high employee morale and productivity. Over the years we have continuously innovated and improved our processes. Adherence to the same has ensured that our projects are delivered on time and to superior quality. Knowledge transfer is smooth and risk management is given utmost importance. This also means that our customers are never in for nasty surprises. Our firm is reputed for its entrepreneurial thinking. We, therefore, get under the skin of the customers as we identify ourselves with them. We do not just seek solutions, we seek optimal solutions. In the process, we make new discoveries every day which transform into business benefits for our partners. 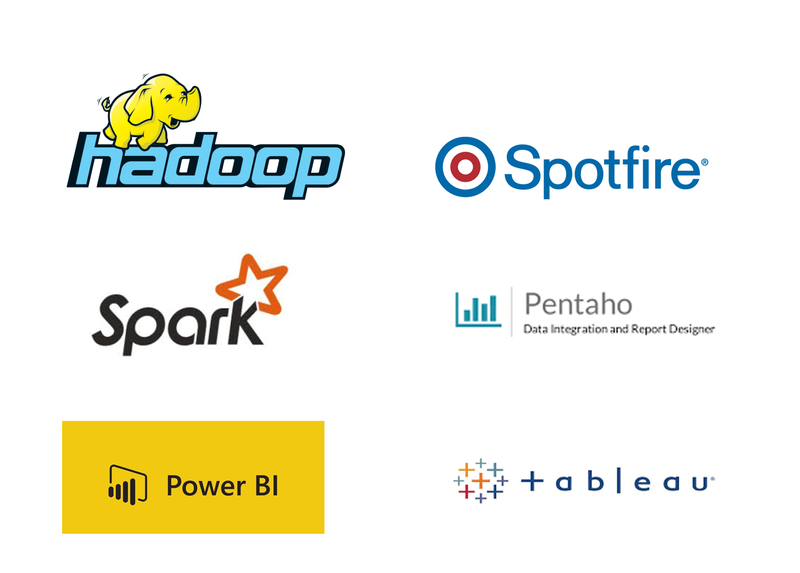 We have strong relationships with the key leading product vendors in Big Data. We have proven expertise in bridging the gap between raw data and impactful analytics cost-effectively. Our certified Hadoop administrators and developers are amply rewarded by our midwest brand recognition and credibility. Our technology arm Yotabites is Cloudera Silver Partner, RStudio Partner/Reseller as well as Microsoft Partner. Hold patents in the field of Data Warehousing solutions. Data is of utmost importance in today’s world. There is a tremendous volume of data being generated all around us, every single moment. Big Data is too large and complex for conventional data tools to capture, store and analyze. Analytics is applied to Big Data after it is extracted, validated, transformed and normalized for understanding it better and putting it to productive use. Analysts can spot trends, extract insights and make predictions. It is particularly important in the domain of Healthcare considering the huge amount of claims, clinical and additional data generated and shared through practice management, billing systems, electronic medical records and data warehouses. We at Ruby Software work in collaboration with our partner Yotabites to deliver the following Big Data Analytics services. We will help you keep your data environment cost under control thereby enabling your enterprise to access more data and scale up to expanding business requirements. We will help you understand how Big Data technologies, tools and processes can transform your organization. You can reap rewards by leveraging on our expertise in Hadoop-based platforms, MPP databases, cloud storage systems, and other emerging technologies. Our data delivery is fully automated, high performance, low maintenance, enterprise-ready and responsive. We take end to end ownership of service delivery from consulting, implementation, migration, infra-sizing and provisioning to platform support. We also offer packaged services with committed SLA and clear upfront pricing. Get trained by us in Big Data Analytics. We employ an innovative, experiential learning methodology that blends classroom lectures with virtual trainer sessions. These are designed to equip you with a thorough knowledge of data science tools and exposure to business perspectives and industry best practices. Our Data Scientists identify relevant data sets for Data Analytics applications. They collect integrate and prepare the data for analysis. Our Data Analysts are well-versed in SQL on Hadoop, Tableau and Pentaho Reporting. A team of five consultants at our offshore facility and three consultants at onshore client locations offers services. Apart from these, we have Big Data Administrators and Data Scientists providing technology solutions. The traditional approach to AML and fraud detection has been rule-based and reactive. Many suspicious transactions fall through the cracks of these rules. To shift from rule-based to pattern detection requires the application of data science (machine learning algorithms), a variety of different sources (such as watch lists, news feeds) and large amounts of historical transactional data. To analyze potential suspicious activities in real time requires a stream processing infrastructure that can ingest and analyze billions of transactions as they happen. Analyse of Telematic data from delivery vehicles for route optimization to help save millions of dollars through a reduction in fuel consumption and miles traveled. For best results, combine telematic data with other data sources like weather data, data from transportation department such as route maps, construction, and traffic. Real-time events and trends need to mesh with historical data for real-time route optimization. To improve accuracy and confidence of prediction, multiple models will have to be constructed and compared against as much data as possible. The above is not practical with traditional technologies. Using Big Data technologies and through building an integrated analytics platform, companies are now able to save top dollars and set up their competitive advantage. Improve demand forecasting so that cost of goods, shipments and inventory levels can be maintained at accurate levels. Demand forecasting is a critical process in the supply chain due to the drain on capital from unsold inventory stock. Even a 1 % change in accuracy and confidence levels in the forecast can result in a reduction of millions of dollars. However, it requires the ability to build an ensemble of models that forecasters can choose from. This is not possible with traditional processes. Adding observations and variables will delay processing time rendering results useless. Scoring and classification of customers (based on predictor variables like propensity for an offering and historical buying behavior). Identifying new customers similar to existing profiles (using external demographic data as needed). Next best offer for existing customers (based on historical purchasing behavior and changing demographics). Identifying customers at risk of flight. Most marketing analytics is based on static data in data warehouses. Micro-targeting (personalized ads and campaigns based on individual preferences) is not possible using existing data and analytics technologies. We had never heard of Yotabites and so were initially unsure whether to engage them or not. Their name was mentioned in passing by our technology vendor. We decided to give them a session to present themselves. Within 30 minutes, their expertise and depth of knowledge was obvious. Our team is highly technical and whoever we selected to develop and manage Big data needed to be experts and needed to be close to us. Since then, they have been a true partner and have been delivering and managing our Big Data solutions like true Ninjas! Dmitriy KhotsVice President of Strategic Insights. West Corporation. Yotabites helped us understand the potential of big data and data science. Their knowledge and expertise provided us with a whole new perspective and we have a better understanding of how to harness the full power of data. Ruby Software does not just deliver solutions based on requirements, we help the customers identify requirements and plan for accruing optimum benefits for their businesses. We deliver project solutions thoroughly managed from initiation to execution to closure. This is done in a Global Delivery model. Ruby Software retains responsibility of the IT service and the customer is charged for it. Such services come with Service Level Agreement (SLA). The Ruby Software team keeps abreast of the latest in technology and is everready to share the knowledge with their partners. Training on core technology areas is offered as a service. We also provide experts for specialized activities like troubleshooting. Ruby Software enters into an engagement in either of the following three models. In a time & material (T&M) contract, Ruby Software and the customer agree to unit rates that have been predetermined by both parties in advance for executing the project. senior engineers. The contract has no definite end date. Therefore the full value of the contract cannot be defined at the time of awarding it. T&M contract can grow in value over the period that it is in effect. The inherent flexibility of the time and material (T&M) contract makes it an attractive option from a project management perspective for both Ruby Software and the customer. In a Fixed Price or Lump Sum contract, Ruby Software and the customer agree on a fixed price for the project while embarking on it. The payment does not depend on resources used or time expended. Given that risk management is of utmost priority in this type of contract to take care of budgetary overruns, more detailed specifications, checklists and scope documents are required from the customer side to ensure a smooth execution and delivery of the project. What criteria will we use to measure our progress? Is the goal achievable or realistic? Is the goal relevant to the business? When will this goal be accomplished? What data you are currently collecting, such as purchasing history. What data you need to start collecting. Finally, the Big Data Initiative is deployed taking into account the layers of Big Data deployment: infrastructure, data management, and application. Virtualizing is the key to get to the third and most important step of executing the application layer.